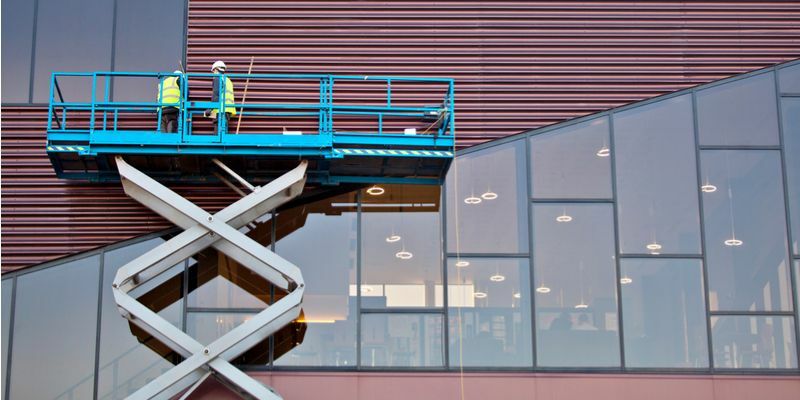 Safety is paramount on any worksite whether you are at ground level or on a form of elevating equipment like a scissor lift. 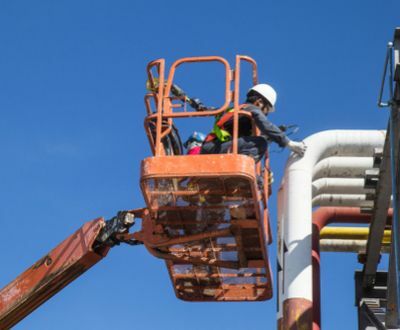 Of course, working from an elevated position brings a whole new set of safety challenges to overcome. But remember, every machine is different. Always familiarize yourself with your specific machine’s manual and operate it within the parameters outlined. While working on any form of mobile elevating equipment, the Ministry of Labour mandates the use of an approved harness system. 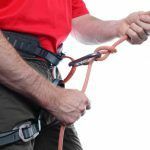 This consists of a full body harness or 5-point harness with a lanyard securely attached to the platform before operation begins(as per section 26.1(3) of O. Reg. 213/91 and 148(e) of O. Reg. 213/91). Tethering yourself to nearby structures or equipment is dangerous and should not be permitted. Make sure to pre-establish an effective and clear communication system through a combination of hand signals and two-way walkie-talkies. This will aid in assuring you and your co-workers understand what is going on at all times and will reduce any confusion, resulting in fewer injuries or accidents. Be sure all objects and equipment used on the platform is securely tethered. Ensure all power and tool cables are clear from snags and any extra weight does not surpass the recommended load capacity. When elevation equipment is exposed to winds that exceed the manufacturer’s recommendations. When workers are exposed to extreme weather conditions such as thunderstorms, heavy rain, wind, heat or cold. When any equipment function is not working as expected or the operators manual/registration decals are missing. In these cases the equipment should be placed out of service. Climbing up an already elevated platform/basket. Climbing or sitting on guardrails should also be prohibited. 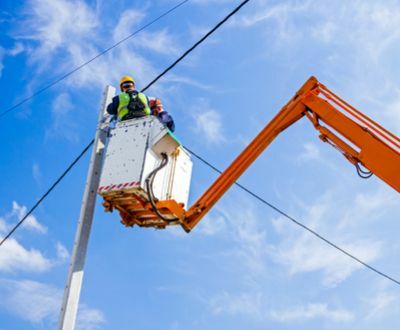 Disconnecting or altering any safety device (as per section 28 of OHSA). Any smoking near batteries or another fuel supply should be stopped immediately. This is extremely dangerous and may cause an explosion. Contact us today to find out how Advanced Consulting & Training can help you! 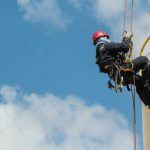 How Do We Train for Working at Heights?